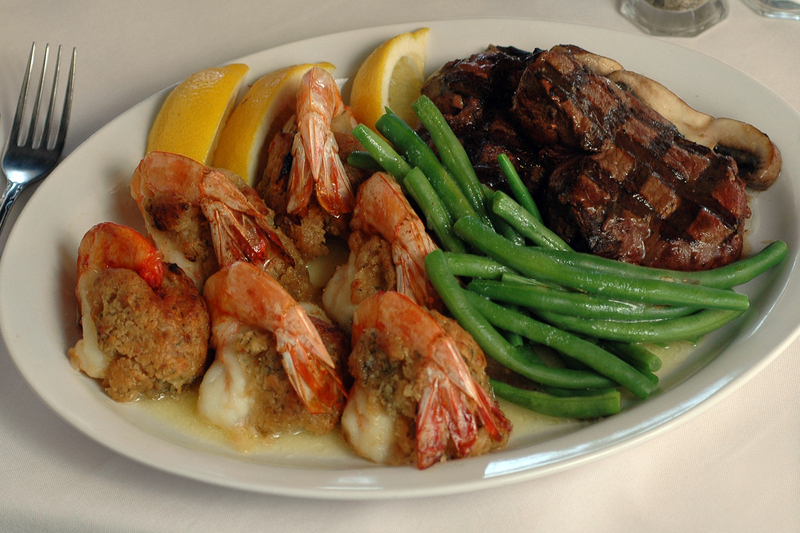 Six Of Our Outstanding "Jumbo" Seafood Stuffed Shrimp, Two Huge 8oz.Filet Mignons And Award Winning Clam Chowder For Two! All orders also come with a personalized card with your own message & Cooking Instructions for easy preparation! Surf & Turf Dinners! • The "Mariner" "Romantic" & "Extravaganza" Lobster Dinners! "Jumbo" (Oven Ready) Seafood Stuffed Shrimp, Two 8oz.Filet Mignons And Award Winning Clam Chowder for Two! An Outstanding Gift Choice And A Great Gift Idea! Holidays, Anniversaries, Birthdays, or Just A Great Thank You!! Order This Surf And Turf Lobster Dinner By 10am EST, And Enjoy It For Dinner Tomorrow! Lobster Tails And Filets Also Make A Great Gift Idea For Your Favorite Seafood Lover! How Easy Is That! excellent stuffed shrimp! Big and the stuffing was really good! The Filets were better than expected, actually better than the local butcher! Very Impressed with the quality, quantity, and prices! You have a New Customer! Really Really Good Stuffed Shrimp! Loved it! We order for my husbands 50th, and we were NOT dissapointed! We ordered the surf and turf with stuffed shrimp, and it was to die for! That stuffing was out of this world good! I have made it at home with the ritz cracker thing, but please, send me the recipe! The steaks were not only good, they were as good as if not better than other online vendors who just sell meat! great job lobsterman! Claire Chicago Il.